As research suggests, in the process of caring for and educating young children, no time is too soon to begin. Even from birth children are already competent learners with a rich experience from which to build. 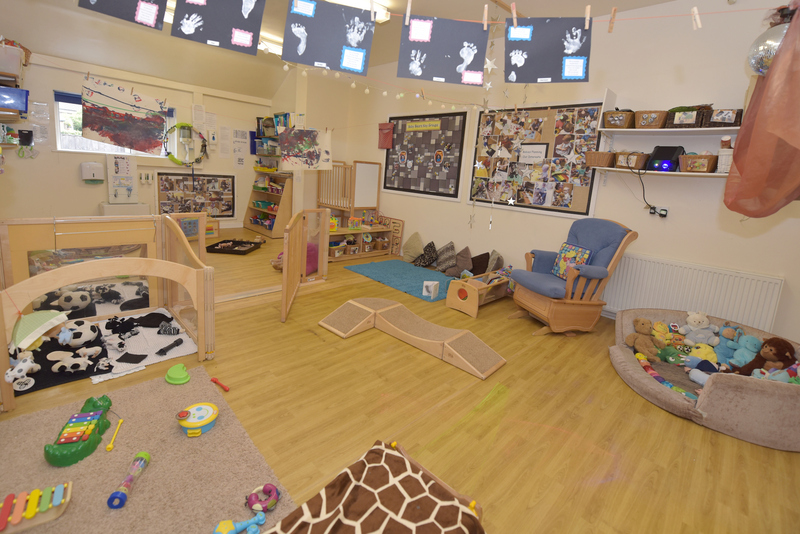 All aspects of our curriculum celebrate the skill and competence of babies and young children and highlight the interrelationship between growth, learning, development and the environment in which they are cared for and educated. Plenty of love and cuddles are top priority and your baby can be sure of lots of individual as well as group interaction. We aim to give your child a variety of stimulating activities according to their age and stage of development. 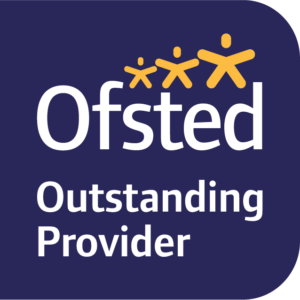 Planning is carried out in order to meet the standards for learning and development set out in the ‘Early Years Foundation Stage’ framework. Activities and toys are changed on a daily basis. Toys are provided on a continuous basis allowing children to access a range of musical toys, activity toys, hand and finger painting, water play, sand play, spaghetti and ‘gloop’ (a mixture of cornflower and water). These activities can be messy, one of the reasons we ask you to provide a change of clothes! Babies are offered meals to suit their individual needs. At around 6 months, when babies ready to be weaned, we introduce ‘first tastes’ – with pureed fresh fruit and vegetables. During a gradual progression to wholesome blended baby meals, babies are introduced to different foods and flavours. Lumpier foods are then introduced in preparation for the stage. At meal times as children develop their independence they are encouraged to feed themselves, drink from a beaker and sit at the especially low tables instead of a highchair. When babies need to rest they lie down on nice soft beds or cots with their own bedding and listen to soft sounds or gentle music until they drift of into ‘dreamland’. Sensory activities are on offer so that children can learn through the power of touch and the senses, to develop their knowledge and understanding of world whilst exploring their emotions. Staff encourage children to participate and offer reassurance and comfort in new situations.